Power grabs avialable for tractor loaders & skid steers - Hardox tines Ranging from widths of 1.24-1.8m, 21-31 cu/ft, 7-9 Forks Tines and 4-5 Grab Tines. All with 32" (0.8m) long Hardox tineswelded into box section. High strength solid back keeps machine carriage clean. High strength design features Domex high tensile steel. 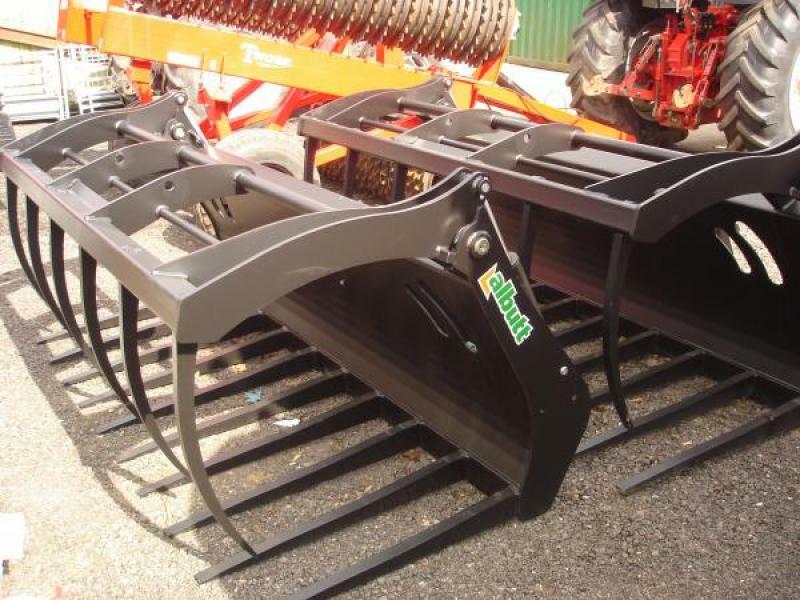 Wide opening grab opens to 1060mm Suitable for use with tractor loaders and skid steers. 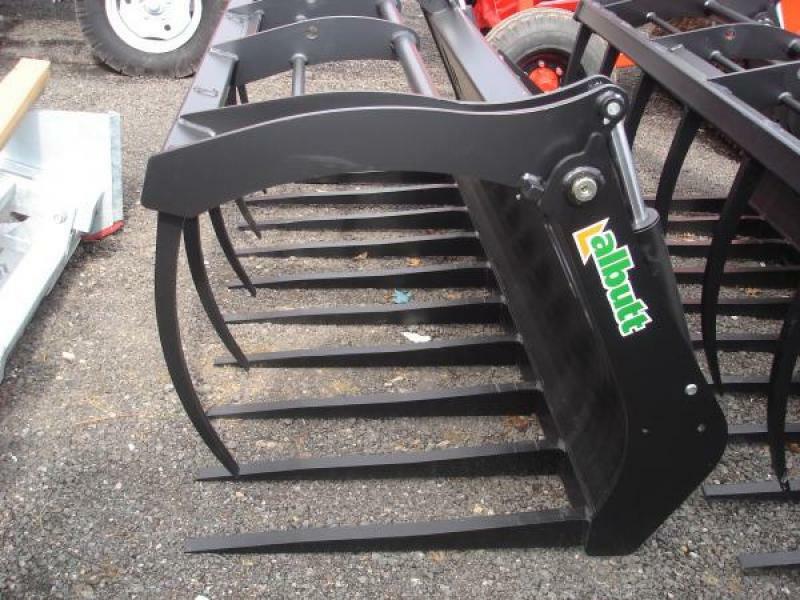 Allfork heavy duty manure forks with Grapples also avilable. 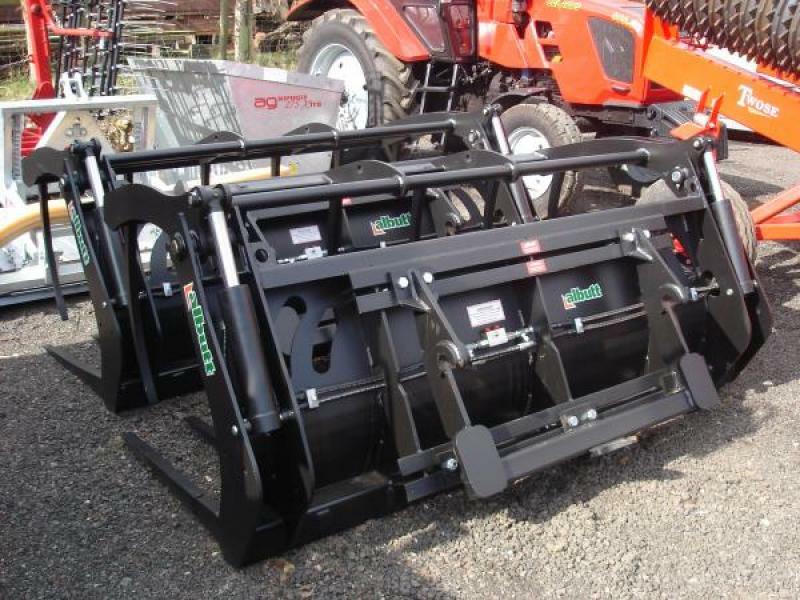 Ranging from 2-2.77m wide, 8-11 tines and 70-110 cu/ft. 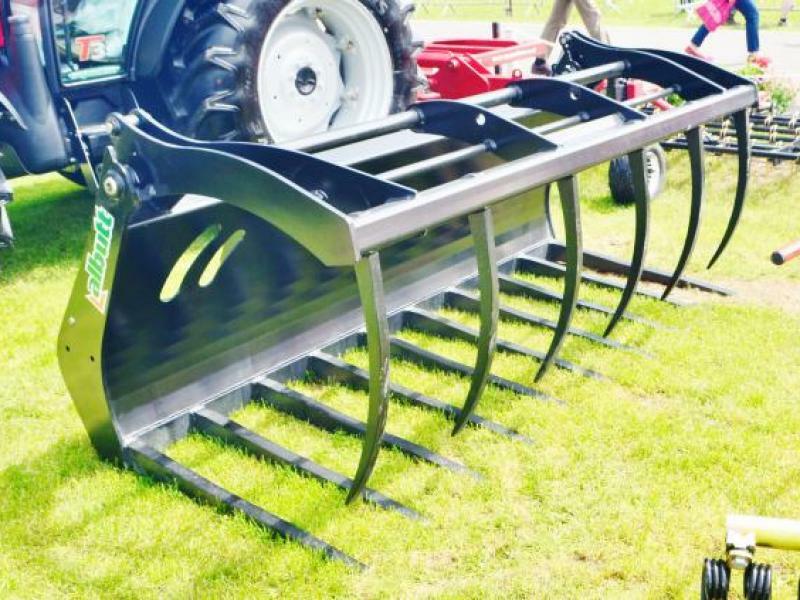 (Smaller forged steel models also available) Heavy duty models come with Hardox fork tines - 49" long - resistant to bending and breakage. Hardox grab tines - 600 series standard - 500 series optional. Wear plate to underside of tine holder. Tines welded into tine holder. Optional flick off (500 series only). Optional wing extensions. Heavy duty design. Hardox fork tines 50mm thick. Fork back - Domex high tensile steel. Twin hydraulic rams with cushioning. Please give us a call for more information.